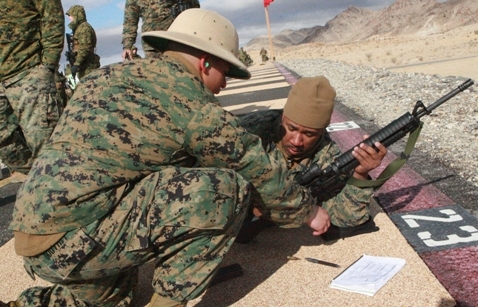 By now, you may have seen Marine Corps Times’ coverage of a controversial report filed last year by the service’s Operations Analysis Division assessing the strengths and weaknesses of the Marine Corps Marksmanship Program. As my story points out, Weapons Training Battalion, out of Marine Corps Base Quantico, Va., took exception to some of the findings by OAD, which falls under Marine Corps Combat Development Command, also out of Quantico. Four major recommendations were made: Develop a new organization to oversee all marksmanship training, embark on a substantial range upgrade plan, remove rifle scores from the promotion process and overhaul annual training to take place either every six months or quarterly. The story already lays out additional details, so it would be redundant to do so again here. However, in an effort to show transparency in my reporting, I’d like to point out that we’ve posted the 38-page report here after a several readers requested a copy. I obtained it through the Freedom of Information Act this summer, but Marine Corps Times held fire on publishing a related story to give the service ample opportunity to respond to my questions. I welcome any feedback current Marines have about the marksmanship, my story and the report itself. I can be reached at dlamothe (at) @marinecorpstimes.com.